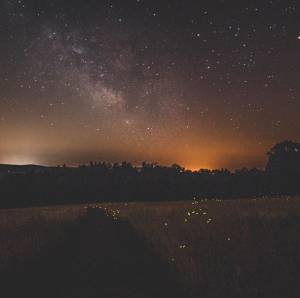 Enjoy the firefly show and take part in a guided medicine walk led by local, Lev Natan. Difficulty: EasyDescription: Explore the 1-mile loop through field and floodplain forest as we observe the firefly show and a guided Medicine Walk which is a purposeful wander in nature taken with the intent to access new insight, wisdom, and guidance in response to an important question that you have about your life. Directions: From Great Barrington: From the Price Chopper, head north on Route 7 for less than half a mile. Parking will be on the left. “Before I went on my medicine walk, I was struggling with finding the inner strength to keep opening my heart to my family, friends, and colleagues…The medicine walk experience enabled me to observe and let go of many of the preconceptions and judgments I carry. The practical value of the medicine walk experience comes from providing an opportunity to connect clarity of thought with the intuitive power of an open heart. -Tom Murtha, Resident of Norfolk, CT, retired institutional equity portfolio manager and currently a senior adviser for non-profit Preventable Surprises. Lev Natan, draws deeply from the spiritual wisdom traditions in his work with social change makers who care about and are committed to working towards a viable future for the generations-to-come. Through peer-to-peer leadership councils, coaching, nature connection, sound therapy, workshops and retreats, he designs and facilitates experiences that integrate spiritual principles with practical skills to intelligently navigate challenges at home, work and in the community. He is currently working on a Masters in Organizational Leadership. To learn more visit www.themedicinetree.com.